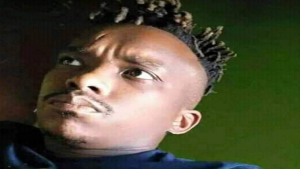 Security will be beefed up the at Polokwane Magistrate’s Court where five suspects linked to the gruesome murder of Thoriso Themane will appear on Thursday. Themane was hacked to death by a group of about 10 school boys in a City Park on Saturday night. A video of the incident has been circulating on social media. On Friday, a march demanding justice for Themane will take place in Polokwane. The brutality of the incident has sent shockwaves through the country. Protest action is expected outside court. Fearing mob justice, community leaders have organised a march on Friday. Community leader, Phaka Murwa says that communities want to take the law into their own hands. Flora Park is where Themane was murdered. His father, Johannes Themane, is as distraught and shocked. The five suspects are said to Capricorn High School pupils. It’s believed they may have been under the influence of drugs and alcohol. Limpopo MEC for Education Ishmael Kgetjepe says that they were shocked by the visuals on the viral videos. The post Tight security expected at Themane’s alleged killers’ first court appearance appeared first on SABC News – Breaking news, special reports, world, business, sport coverage of all South African current events. Africa's news leader..